WTB High speed rear end gears for 1941 Lincoln. Leads? 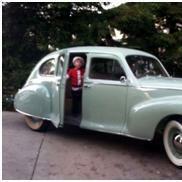 Dream car to nightmare 1947 Continental Coupe need help! Can anyone identify this gauge?